NEWARK, N.J. — For well over a year, attorneys for two former allies of Gov. Chris Christie charged in the George Washington Bridge lane-closing case have made veiled references to information which, if released, could shift the public's understanding of the scandal that dogged Christie's failed presidential campaign. The publishing this week of transcripts of a text conversation that indicated a former Christie aide believed Christie lied to reporters about whether senior staffers were involved, may just be the opening salvo. Attorneys for Bill Baroni and Bridget Kelly, who face a federal trial next month, are expected to argue to a jury that the alleged scheme extended well beyond their clients and that they are being scapegoated for the actions of others, including David Wildstein, the former Port Authority of New York and New Jersey official who has pleaded guilty and will testify for the government. The December 2013 text from Christina Renna, contained in a filing by Baroni's attorney late Tuesday, pushed the needle in that direction. According to the filing, Renna texted a colleague during a Christie news conference that the governor "flat out lied" when he told reporters his senior staff and campaign manager Bill Stepien weren't involved. 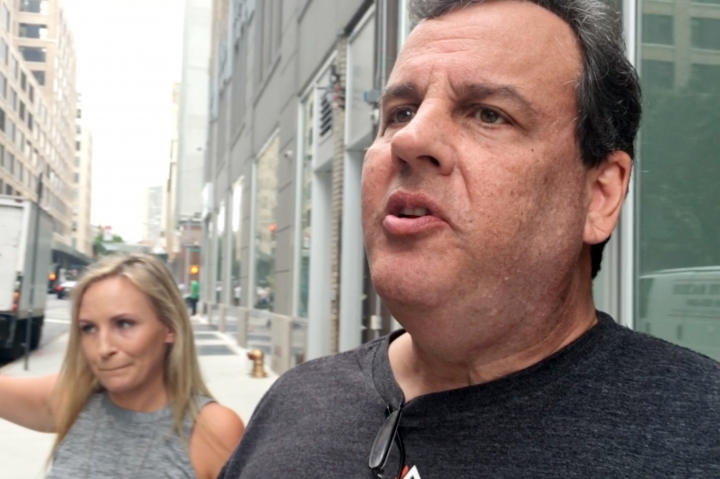 Christie immediately denied the allegation Wednesday, calling it "ridiculous" and "nothing new" as he left a radio station in New York where he'd been guest host. Christie, who is a close adviser to Republican presidential nominee Donald Trump, wasn't charged in the lane-closing scandal and has denied knowing anything about it. Stepien's lawyer called the idea his client was involved "categorically false and irresponsible." In Tuesday's filing, attorney Michael Baldassare, who represents Baroni, hinted there are "many more" texts that may be revealed. Defense attorneys also have subpoenaed the cellphones and personal electronic devices of Christie and several top aides, though a judge likely will have to rule on whether they will be required to produce them. Baroni, a former deputy executive director at the Port Authority, and Kelly, Christie's former deputy chief of staff, face charges including wire fraud and civil rights violations for allegedly closing access lanes to the bridge in Fort Lee to punish that city's Democratic mayor for not endorsing Christie's re-election. The government is expected to show jurors numerous text and emails between Kelly, Baroni and Wildstein that purportedly show them reveling in the chaos they caused in Fort Lee over four days in September 2013. Opening arguments are scheduled for Sept. 19. A wealth of evidence and testimony could offer additional insight, starting with the cellphones of Christie and his top aides. Defense attorneys also say they are seeking a list of people at the Port Authority and in Christie's office who knew about the alleged conspiracy but weren't involved. They already possess a list of unindicted co-conspirators — people who may have been involved but who the government didn't have enough evidence to charge — that hasn't been made public. One person on the list went to court anonymously to stop its release to media outlets. A federal appeals court is weighing whether to release it. Then there is the fact that some potential government witnesses may have given testimony or official interviews several times already, giving defense attorneys an opening to attack any inconsistencies. 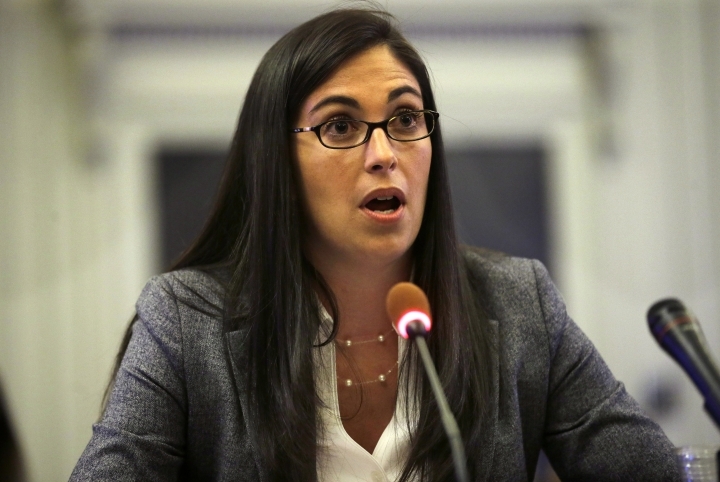 For example, Renna didn't mention her texts about Christie when she testified before a state legislative committee, or when she was interviewed by a law firm that issued a 2014 report absolving the governor.